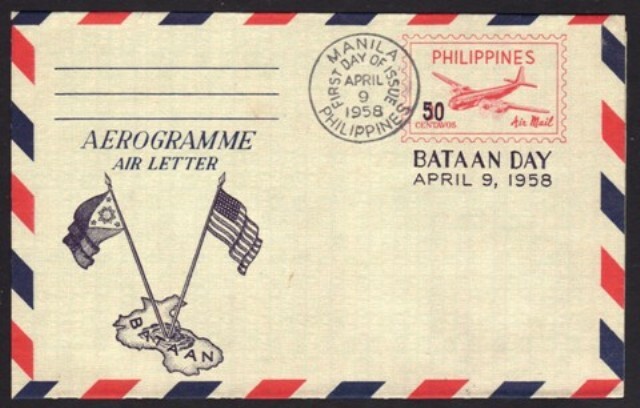 1958, April 9. 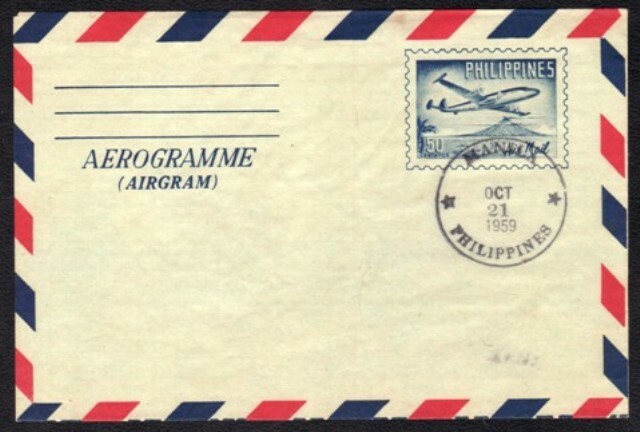 50c Surcharge Over 1954 30c Airplane (Facing to the Left), Red on light blue; Red on greenish-blue. 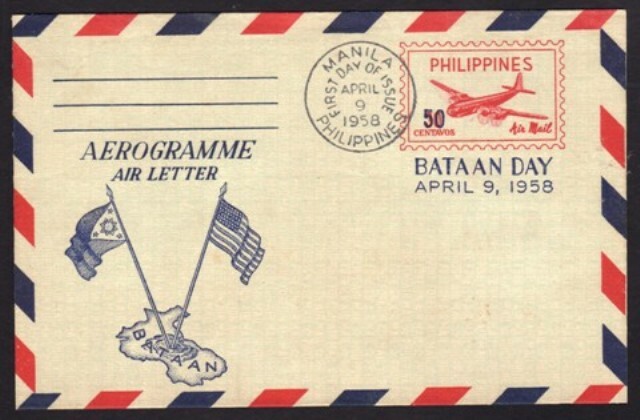 Overprinted in Blue "BATAAN DAY, APRIL 9, 1958". 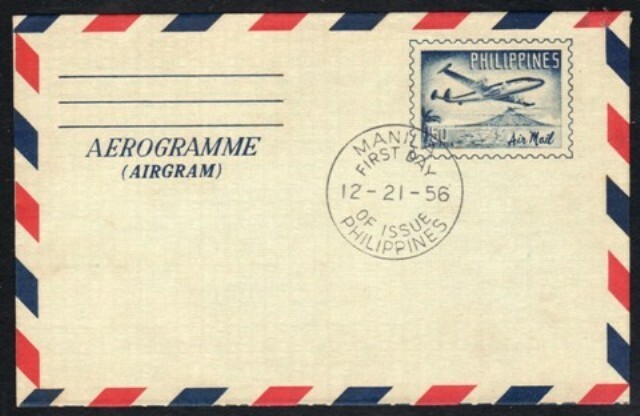 AEROGRAMME / AIR LETTER with "*Philippine Foreign Airmail*" Overlay. 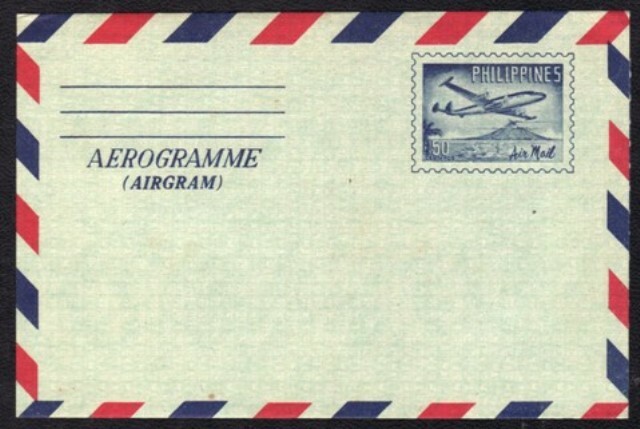 Philippine Bureau of Printing. (400,000). 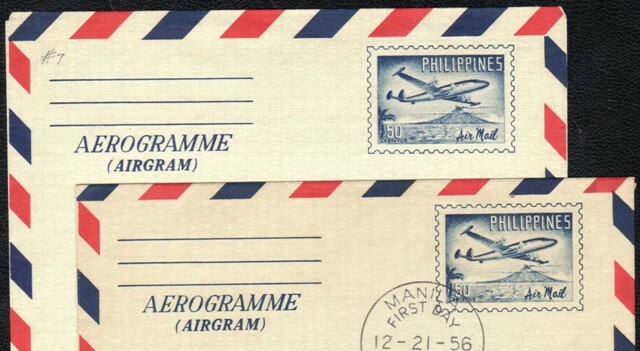 Color Varieties of BATAAN overprint: Dark Blue and Light Blue.